World Luxury Fashion Week has made its much anticipated debut in Abu Dhabi and is set to become an annual fixture for the UAE capital city. The event brings together some of the world’s leading high-end fashion brands over a four day invitation-only fashion week hosted at the spectacular Jumeirah at Etihad Towers. The four-day show schedule opens with two evenings of BMW Haute Couture shows, followed by two evenings of some of the most prestigious prêt-à-porter brands, featuring, amongst others, the likes of Carolina Herrera NY, Ermanno Scervino, Hervé Léger, Paule Ka ‘Black Carpet’ Collections, and acclaimed regional designers, Walid Atallah and DAS Collection who recently returned from a successful London Fashion Week. 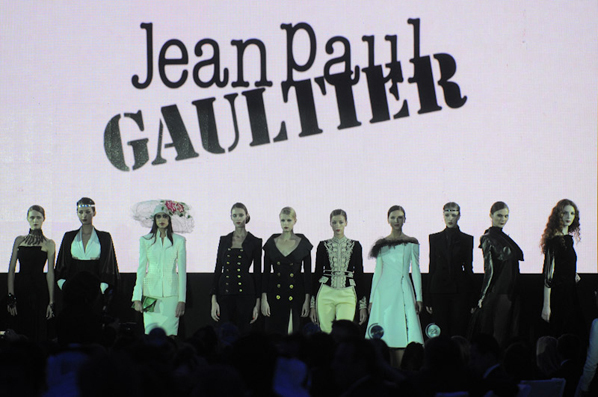 In addition to this already impressive line-up, BMW will host exclusive customer evening events where several top Haute Couture designers such as Jean Paul Gaultier will present their latest Haute Couture collections. The format for every show will offer a salubrious hospitality setting rarely seen at fashion shows, as guests indulge in a five-course gastronomic dining experience crafted by Jumeirah’s elite team of executive chefs in the Mezzoon Ballroom at Jumeirah at Etihad Towers. The hospitality concept allows for each dinner course to be served followed by a fashion show during each interval, so VIP guests will indulge in the best of fashion and food in a luxurious setting. World Luxury Fashion Week is supported by iconic partners Abu Dhabi Motors, BMW, Rolls-Royce Motor Cars, Jumeirah at Etihad Towers, Rowenta, Etihad Airways and Avenue at Etihad Towers (Abu Dhabi’s first luxury shopping destination). Arno Husselmann, general manager, Abu Dhabi Motors, the sole dealer of Rolls-Royce Motor Cars and BMW in Abu Dhabi and Al Ain said: “We have high expectations for World Luxury Fashion Week and we are proud to be a part of an event of this calibre, one which will no doubt reinforce our association with luxury and reinforce our status as the regions’ leading choice for Rolls-Royce and BMW. Rolls-Royce is the pinnacle luxury goods trademark in the world and is well associated with high-end luxury. Rolls-Royce Motor Cars has a long history with the fashion world. Most recently the company partnered with Lebanese fashion designer, Walid Atallah, to create two bespoke models, named “Rolls-Royce Phantom Rayan” and “Rolls-Royce Phantom Coupe Rayan”. In 2011, to celebrate the centenary of the Spirit of Ecstasy, Rolls-Royce Motor Cars collaborated with acclaimed photographer, Rankin, on a series of photographic portraits inspired by females and symbolising the mystique and charm of the brand’s legendary figurine. Abu Dhabi is fast becoming a city that is positioning itself as one of the largest luxury retail capitals of the world and the luxury fashion market in Abu Dhabi is one of the most strategically important, and indeed lucrative. 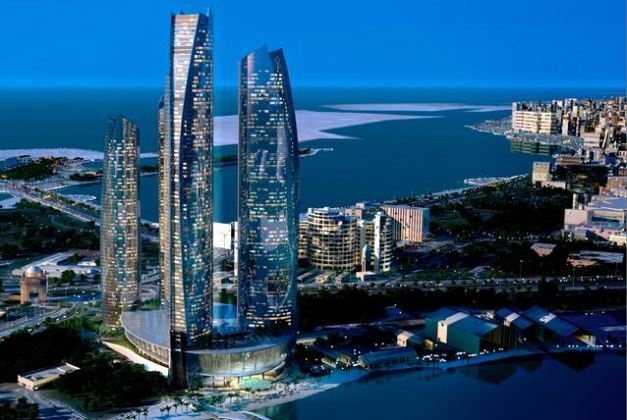 Most of the premium brand retailers are planning a rapid expansion into Abu Dhabi and this can be seen with the much anticipated opening of Avenue at Etihad Towers, Abu Dhabi’s first true luxury shopping district and premier lifestyle destination in the city. As one of the world’s leading brands of high-performance garment steamers, steam irons and hair styling appliances, Rowenta’s association with World Luxury Fashion Week is a fitting one. The partnership reinforces the brands existing relationship with world-class international fashion weeks in New York, Paris, Montreal, to name abut a few. 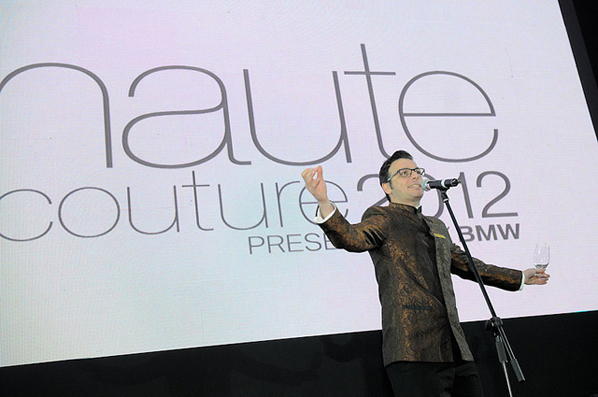 “Rowenta is very excited to be a part of World Luxury Fashion Week,” said Shonila Misra, marketing director of Rowenta. The GCC region remains a hugely lucrative market for luxury goods and achieved significant growth of 15 per cent in 2012, leading the strong performance of the global luxury market, which underlines the huge growth potential of the Middle East region. Globally, luxury goods sales are defying initial concerns and despite recent global economic pressures and this sector will exceed €200 billion in 2012, this according to Bain & Company Luxury Goods Worldwide Market Study, Spring 2012 Update. Peter Baumgartner, chief commercial officer at Etihad Airways, commented: “As brand synonymous with classic design and tailored experiences, we are proud to support an event which aligns with our high-end, stylized approach. “Etihad Airways brings the world to Abu Dhabi and also presents Abu Dhabi to the world. As the capital of the United Arab Emirates, Abu Dhabi will continue to cement its status as a leading luxury destination and World Luxury Fashion Week will complement these recent achievements within the city’s business and tourism sectors. Julian Alibhai, exclusive distributor of Hästens beds and mattresses in the GCC, said: “Hästens is globally recognised as being the ultimate producer of the world’s greatest handmade and bespoke beds and mattresses using only the finest all-natural materials, and has been doing so for the last 160 years in Sweden. A limited number of VIP hospitality options are available for World Luxury Fashion Week at [email protected] or +971 (0)2 406 9594.